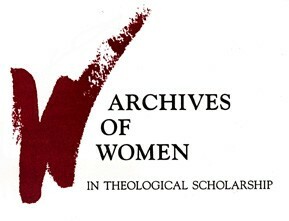 Archives of Women in Theological Scholarship (AWTS) provides access to the records of women who have reshaped theological education and American church life since 1900 and serves as the living memory and documentary repository for materials pertaining to Christian women's movements for progressive social change during this period. Are you thinking of donating materials to AWTS? Note: Collections listed below without a link to the finding aid are awaiting processing, and may not be accessible without advanced notice. Please contact burkespecial@library.columbia.edu for further details and access information before visiting the library.